After almost three decades, Congress has got a chance finally to address people of Bihar on its own. After Bhagalpur communal riots and Lalu having taken over the reins of Bihar, Congress was almost finished in Bihar. Jan Akanksha Rally will certainly give a boost to India’s oldest political party. 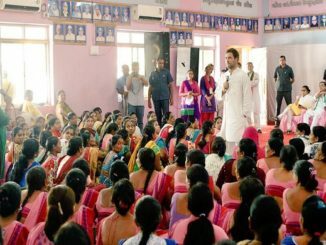 “With the money PM gave to Anil Ambani, three times MNREGA could have been funded, three times poor could have been benefited, but Narendra Modi and Arun Jaitley had no concern about the poor and the farmer,” he further said. Rahul Gandhi has promised that if Congress gets to power in Delhi, there will be a minimum income guarantee. He said that it would be historic and the first in the world. 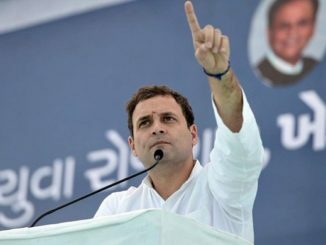 “Minimum income guarantee would be historic like previous historic achievements of the Congress party like Green revolution, White revolution, MGNREGA, Right to Education, Right to Information and Right to Food,” he added. Gandhi has also promised that if Congress comes to power in the centre, Patna University will be given the status of Central University. “Tejashwi is a young leader. He shows his performance and does not tell a lie. We are going to form the government jointly in Centre after Lok Sabha and in Bihar just after assembly elections in a respectable and loving way,” Gandhi said. 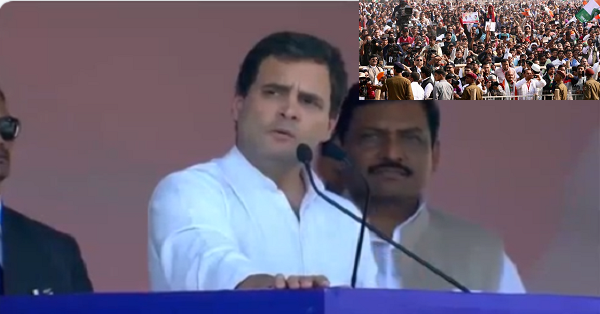 “I have said in Uttar Pradesh that Congress party will not play at the back foot but at the front foot. Together with Tejashwi ji & Lalu ji, Congress party will play at the front foot and we will hit a six,” he added. It is noteworthy to add that Congress and RJD have some inside tussle on seat sharing. Congress wants more than 10 seats in Lok Sabha from Bihar while RJD does not agree to give it more than 6 or 7. Congress is part of Mahagathbandhan (Grand Alliance) in Bihar which comprises of RJD, RLSP and HAM. 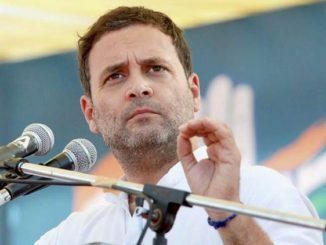 Rahul Gandhi referred to PM Modi and asked, “What have you done for Patna University? What have you done for the employment of the youths of Bihar?” He added that Nalanda University and Patna University used to be popular all over the world for the standard of education. “But now, Bihar is no more a centre of education. It is the centre of unemployment,” he said. Everyone knows that chowkidar chor hai, said Rahul Gandhi. The amount of money that has been given to one Anil Ambani is enough to fund three MGNREGA. Rahul asked the crowd to tune in with him ‘Chowkidar Chor Hai. He said in 2014 the slogan was Acche Din Aane Wale Hain (Good Days are to come), now the slogan has changed to Chowkidar Chor Hai (Guard is the thief). The first thing I did, after assuming the charge as the CM, was waiving off the farm loan. Today is 3 Feb, till 3 March we will waive off the farm loan of 30 Lakh farmers. After 3 March, we will waive off farm loan of rest of the 15 Lakh farmers. Former Chief Minister of Bihar and Mahadalit Face of Grand Alliance Jeetan Ram Manjhi also said that Rahul Gandhi is fit for PM candidate of Grand Alliance. Manjhi had formed his own party Hindustani Awaam Party after a break up between him and Nitish Kumar though he had not left the NDA. Few months back, he had left the NDA and become a part of Grand Alliance.